The Royal Philharmonic Society Music Awards have been presented annually, celebrating live classical music-making in the UK. We've taken a look back at some of the famous names who have won these prestigious awards since they were first held in 1989. 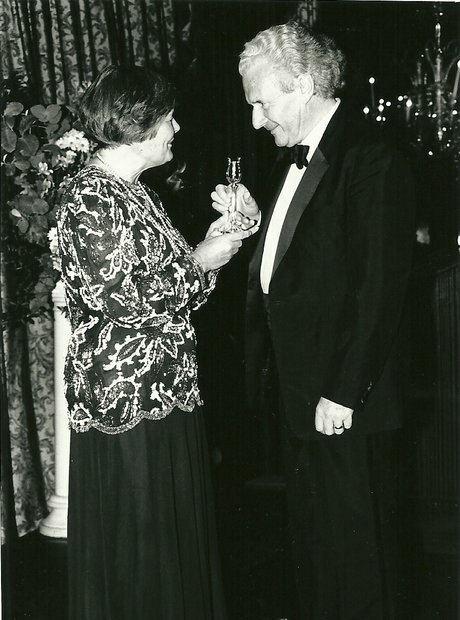 Presented in 1994, Sir Colin Davis receives his 1993 Royal Philharmonic Society Award. He also received an RPS Gold Medal in 1995. 1994: Master of the Queen's Music Sir Peter Maxwell Davies receives his RPS Music Award. Presented in 1995, conductor Sir Andrew Davis picks up his Royal Philharmonic Society Award. Classical pianist and conductor Andras Schiff receives his Royal Philharmonic Society Award from the Dutchess of Kent in 1995. British Diplomat and author Sir Rodric, guest speaker at the 1996 Royal Philharmonic Society Awards. All the winners of the 2002 RPS Music Awards. Russian conductor Vladimir Jurowski makes a speech after receiving his award in 2007.